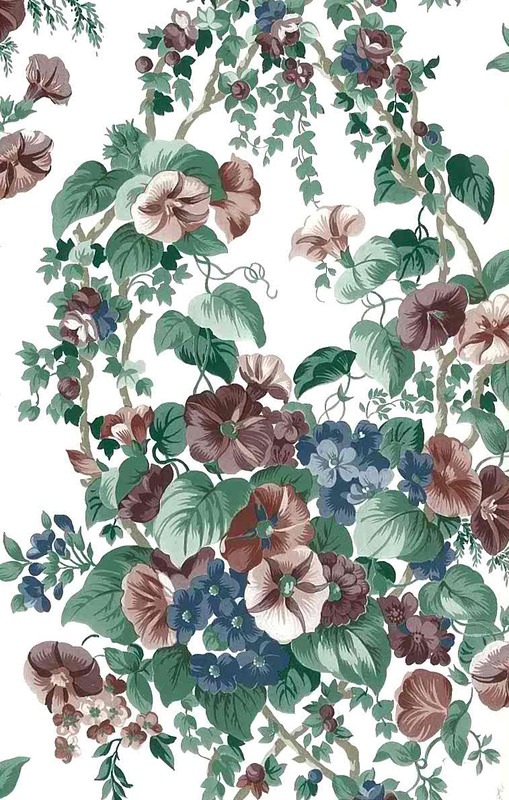 Vintage wallpaper morning glories. 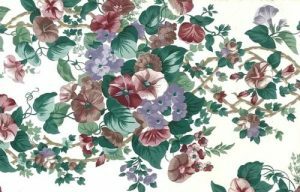 Trailing morning glories in shades of Purple and Lavender with Green leaves and Blue small anemone-like flowers on an Off-White background. Cottage style. 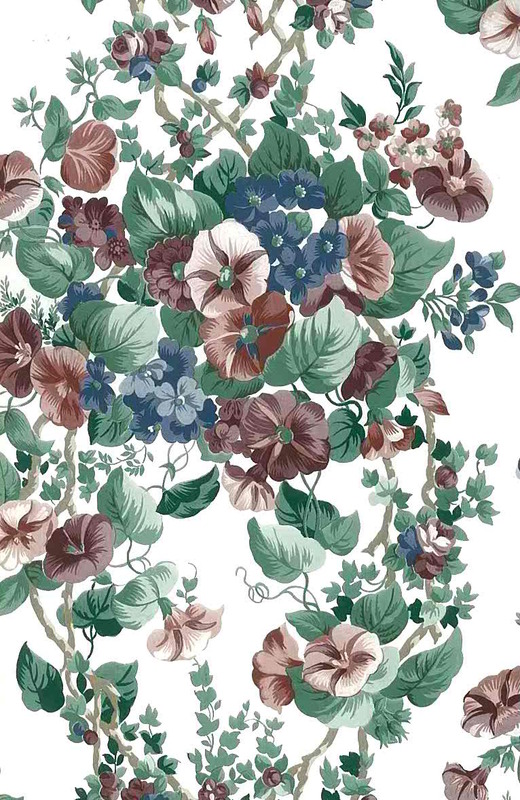 Flowers on Taupe color vines. 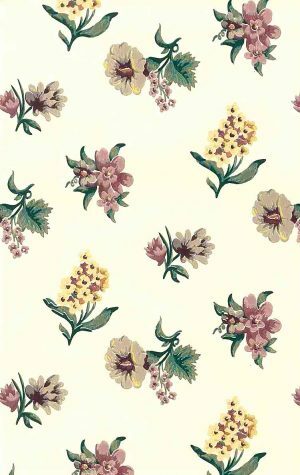 Usage: Ideal for a Bedroom, Kitchen or Breakfast Room.